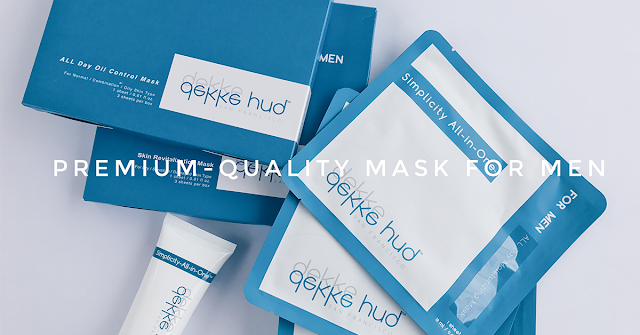 REVIEW: Dekke Hud Skincare - The $10 premium mask that saves men's skin! That was what I actually said out loud when I took out the mask from the packaging. Unlike the normal paper mask, which I am used to, the mask from Dekke Hud is soft and thick with a jelly-like texture. Hailing from San Francisco, California, Dekke Hud Skincare range of products are tailor-made for men. Because, you know, we men are lazy, and those 14-step skincare routines can get a tad too tedious. But now, with their range of premium masks, all you need is 15 minutes, 1-2 times a week. Different from most masks that you see in the market, these masks from Dekke Hud are actually Bio-Cellulose masks. If you know what Bio-Cellulose is, damn, you must really know about skincare... or you must be a doctor. Bio-Cellulose was actually first developed as a medical product to treat burns and festering wounds. The Bio-Cellulose Mask is made from cultured bacteria over a period of 10-days. The masks are all natural and do not have any chemical treatments. During the creation process, the environment the Masks are cultured in must be kept sterile and pure. This layer of medical grade complexity adds to the cost when compared to your typical sheet mask. But that's what they claim. How do these claims hold up against Evilbean's SENSITIVE, COMBINATION SKIN? Before using these, my skin was having a bout of breakouts because I was a foolish man. I went to experiment with some other skincare products, know FULL WELL that I have sensitive skin. GJ Evilbean. 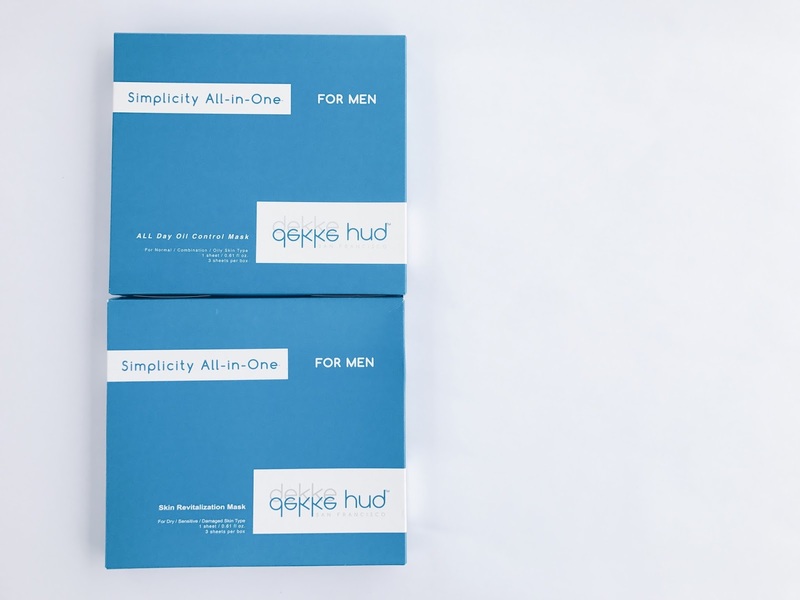 Thankfully, Dekke Hud's products came just right on time. After using the masks for a few times, I can see that my skin condition is slowly improving. I can also feel that my skin is tauter. The All Day Oil Control Mask is a wonder, especially for my combination skin. I could see that my face is less oily, which is a huge plus in my books. The Amino Acid based cleanser is also gentle on my skin. My skin doesn't feel that it went through a moisture-stripping-session after washing. It is formulated to match the pH value of our skin, thus allowing the cleanser to balance the skin as it cleans. Guys, this kind of gentle cleanser that not only lathers well, but also washes off well and retains moisture is damn hard to find. If you are prone to acne, this should be your cleanser. 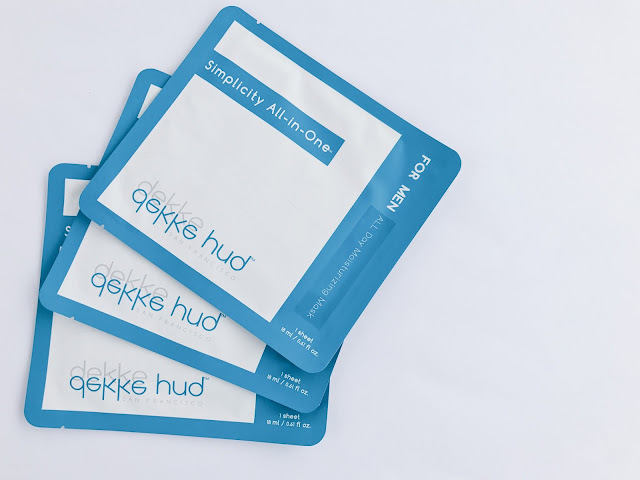 I am glad to join #Dekkehud family, and I am eagerly awaiting for you to join us in this fuss-free skincare regime. Time to look good guys! Use the quote "Evilbean20" and receive 20% off Dekke Hud's products! 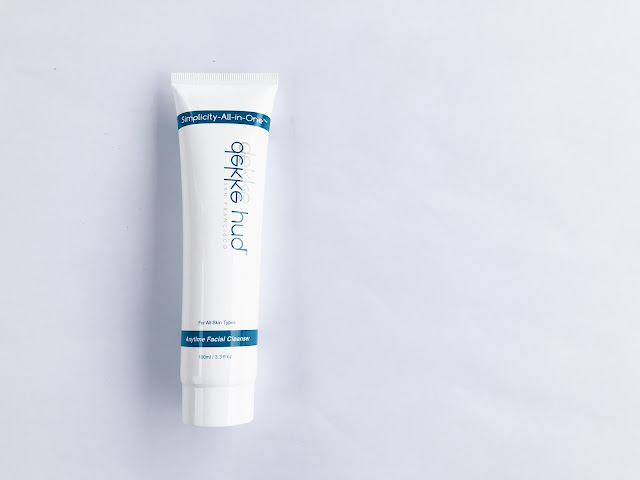 Thank you Dekke Hud for taking care of my sensitive skin!